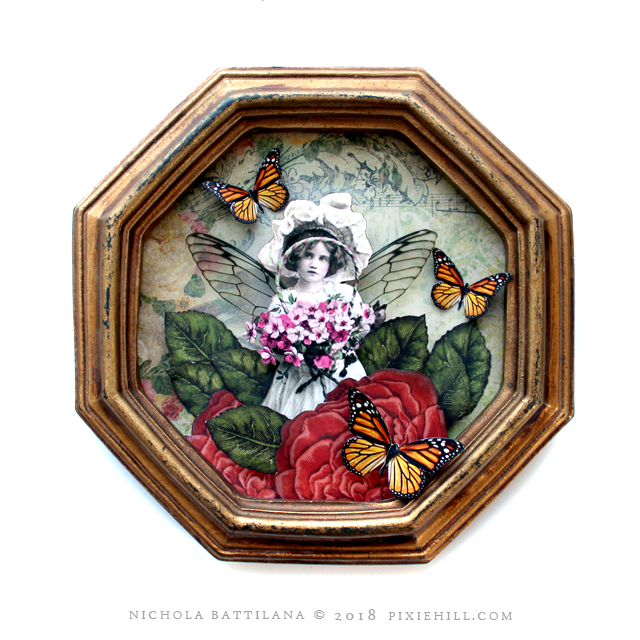 Pixie Hill: Longing for spring and a paper fairy collage. 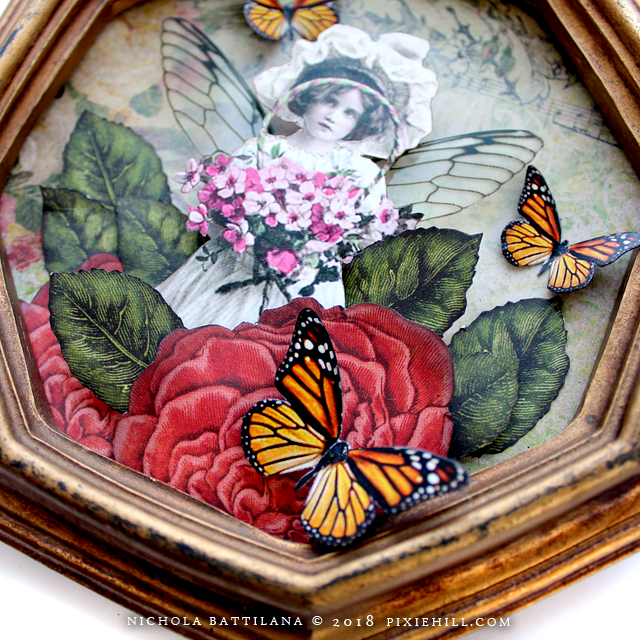 Longing for spring and a paper fairy collage. I do this thing where I buy nice old frames and then let them collect dust in my stash. To be fair, it's not just frames... it's books and boxes and so many other things. I've been trying to show restraint and make my way through that dusty stash. I mean, what fun is all that glorious junk in a pile unloved and unused? So here's a wee thing I made on the fly. 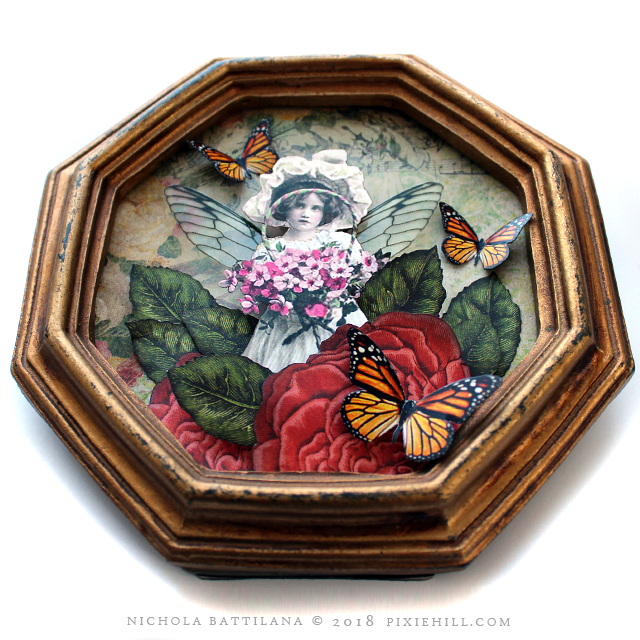 A wee fairy collage in a a very nice vintage octagonal frame. I'm pretty sure she's bringing spring with her. I HOPE she's bringing spring with her. As much as I love the snow, I'm longing for green and warm sunbeams and open windows. If you're interested in this wee lass, she's waiting right HERE. Have a beautiful day, gorgeous! Like this piece, cute. 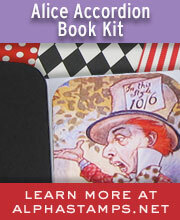 Love the fairie, and the layers of "spring" that is coming. We don't have snow on the west coast but it's white with frost and cold this morning. Thanks for sharing. this is such a gorgeous piece Nicola!